(Y/N) is half Kurtan, with only one scarlet eye. Her mother, a normal person and her father, the leader of the Kurta Clan . When the Phantom Troupe massacred the clan, (Y/N) was able to escape and was taken in by the Nostrade family. And her best friend -and supporter!- Neon tells (Y/N) about her favorite bodyguard, Kurapika. (Y/N) asks if she can meet this 'Kurapika' and see if he knows anything about the Scarlet Eyes. What happens when they meet? Find out in Half Scarlet! --------------------------------------------------------------------------------------------------------------------------------------------------- Haii Haii!! 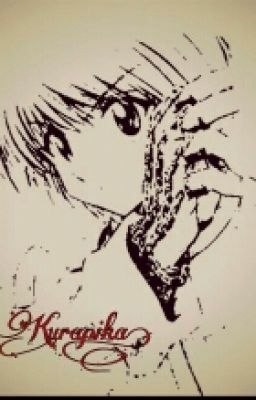 It's Yoruko here with a fanfic and its Kurapika!!! Anyway, this idea came to me when I was role playing with my friends and I was like, ' Hey! Why not make this into a fanfic?' So...I did! Enjoy! !